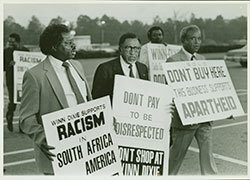 “Working for Freedom: Documenting Civil Rights Organizations” is a collaborative project between Emory University's Manuscript, Archives and Rare Book Library, The Auburn Avenue Research Library on African American Culture and History, The Amistad Research Center at Tulane University, and The Robert W. Woodruff Library of Atlanta University Center to uncover and make available previously hidden collections documenting the Civil Rights Movement in Atlanta and New Orleans. The project is administered by the Council on Library and Information Resources with funds from the Andrew W. Mellon Foundation. Each organization regularly contributes blog posts about their progress. Following Emory's commencement ceremony on May 10, 2010, Reverend Joseph and Mrs. Evelyn Lowery visited MARBL to view the exhibit “One Who Disturbs the Comfortable and Comforts the Disturbed: Joseph E. Lowery and SCLC.” The couple was accompanied by their three daughers, Yvonne, Karen and Cheryl, as well as two grandsons and several other family members. The group appreciated the opportunity to see exhibit and learn about the work being on the SCLC records, and the visit was enjoyed by all. The exhibit will run through August 31, 2010. 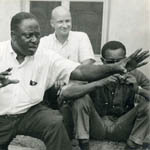 Above: Reverend and Mrs. Joseph Lowery with the SCLC records processing team. Front: Reverend Joseph Lowery. Back, L-R: Danica Tisdale, Becky Sherman, Michael Hall, Sarah Quigley and Mrs. Evelyn Lowery. 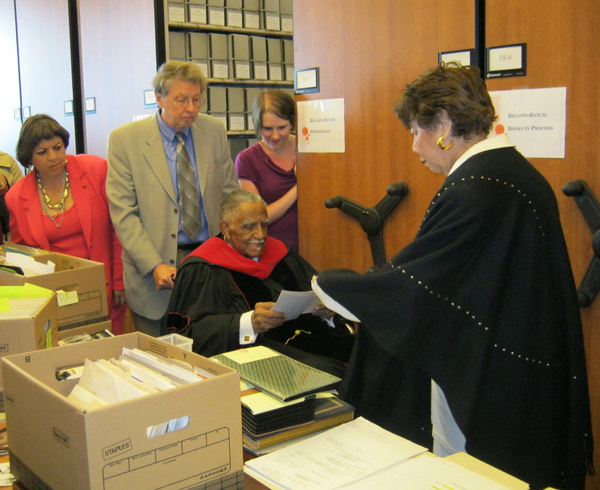 Above: Reverend and Mrs. Lowery and family tour the processing are and look at a few photographs in the collection. 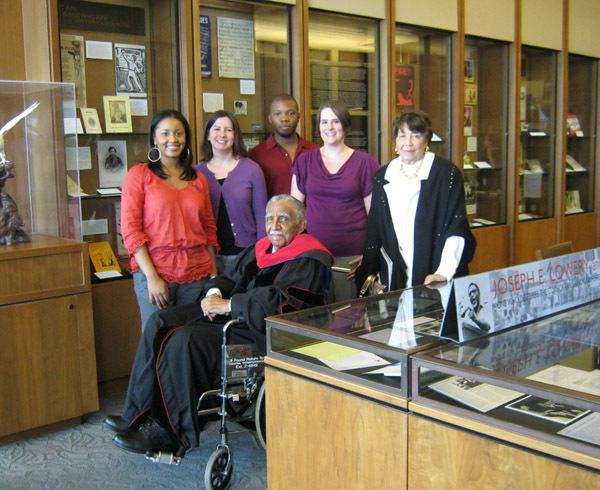 Pushing Reverend Lowery's wheelchair is MARBL Curator of African American Collections Dr. Randall Burkett. 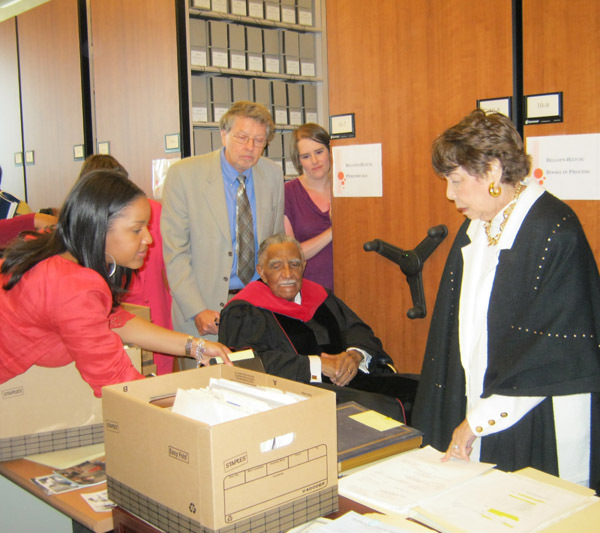 Above: Graduate Student Assistant Danica Tisdale shows the Lowerys photo albums of SCLC/WOMEN events.